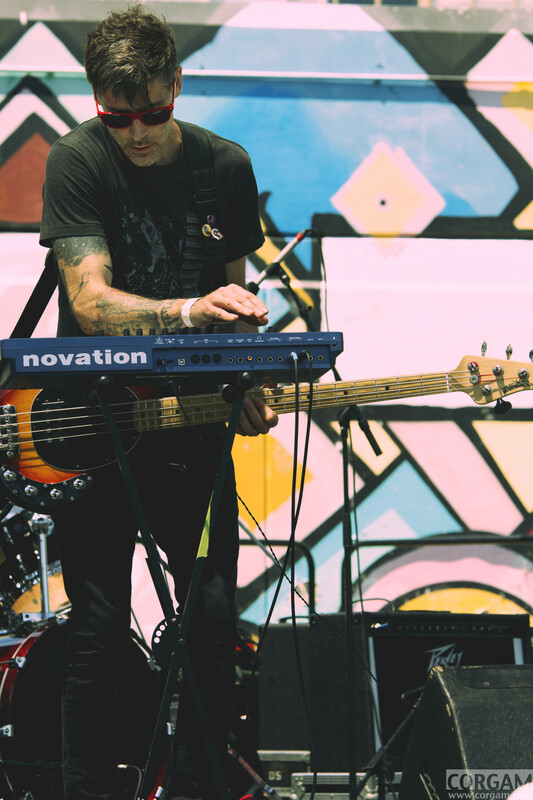 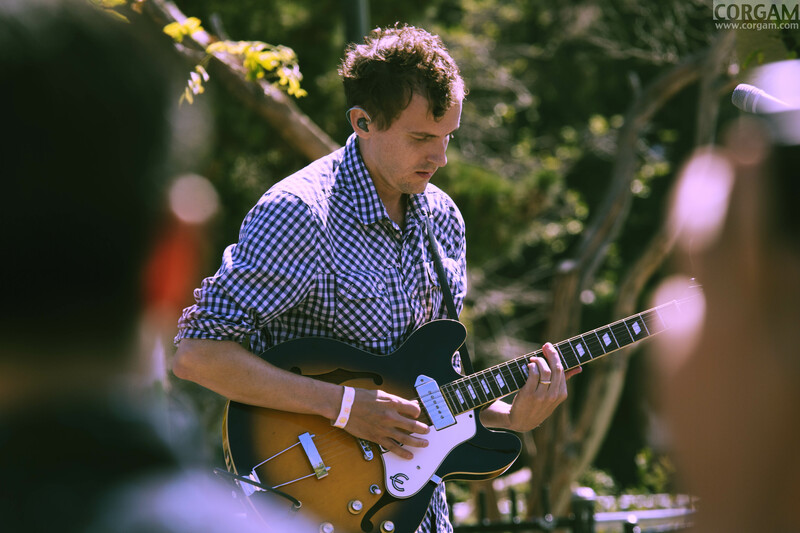 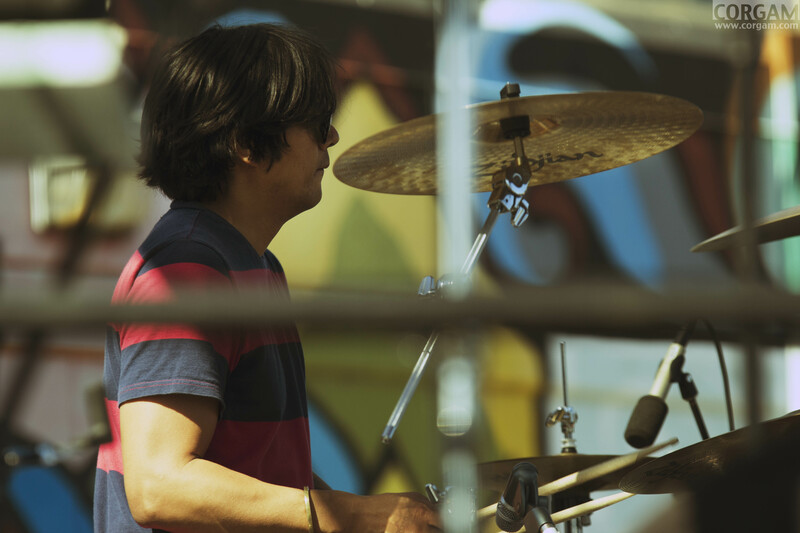 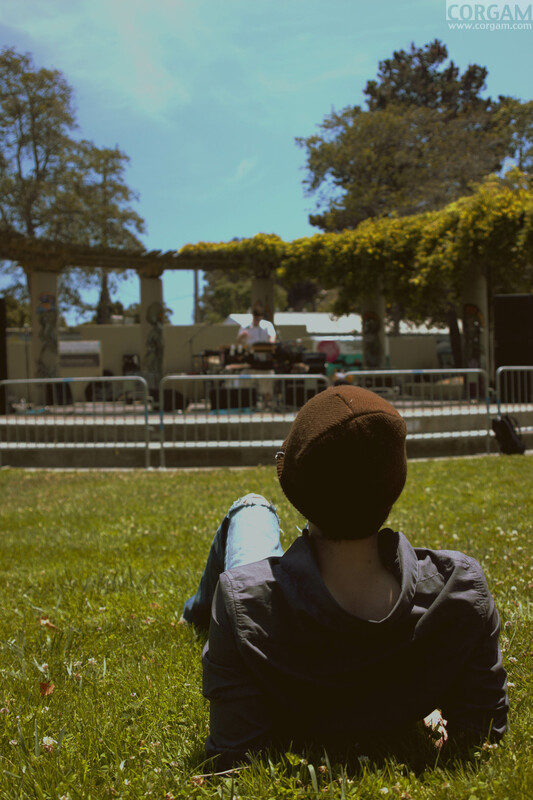 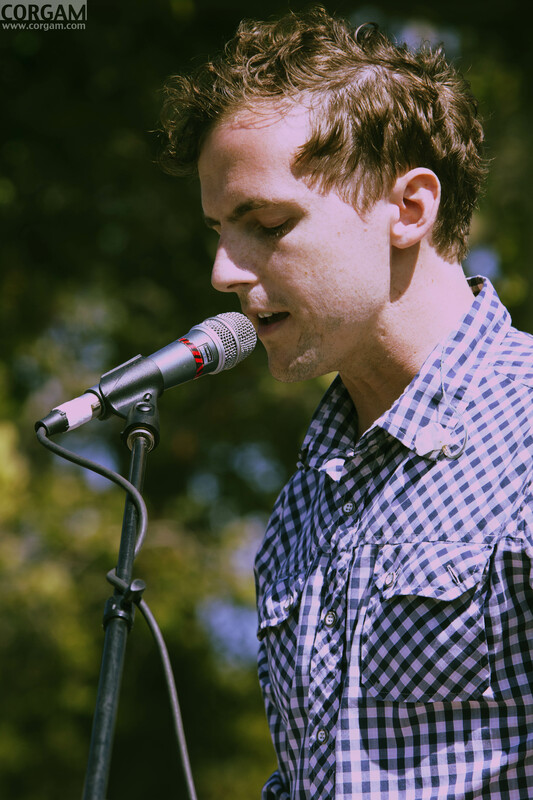 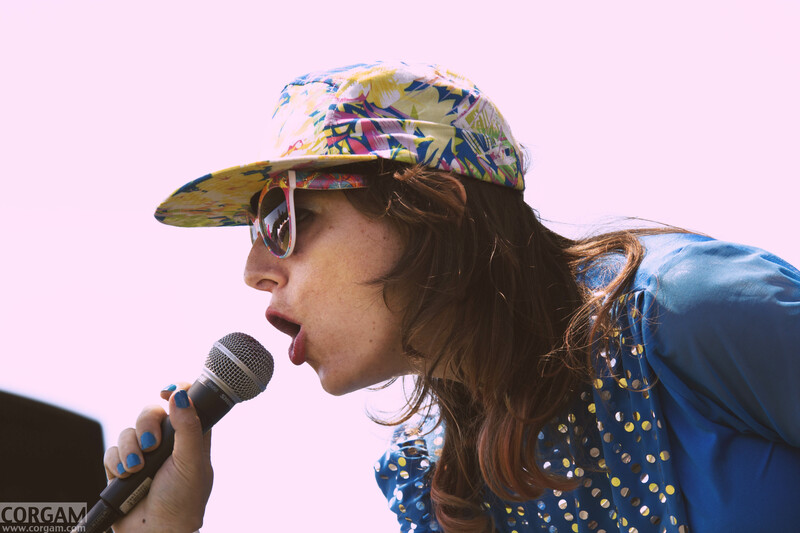 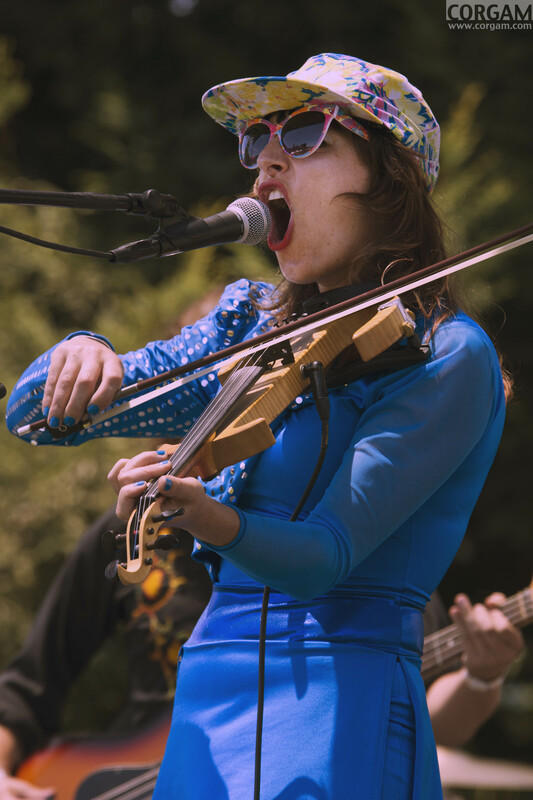 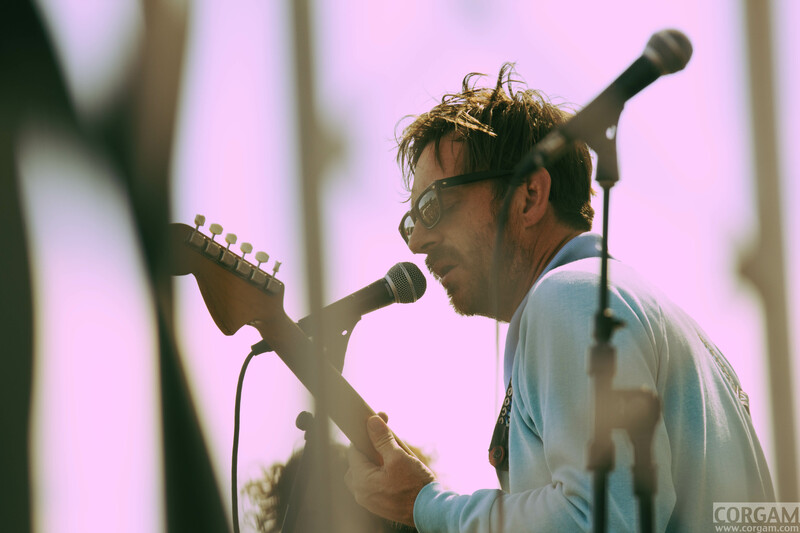 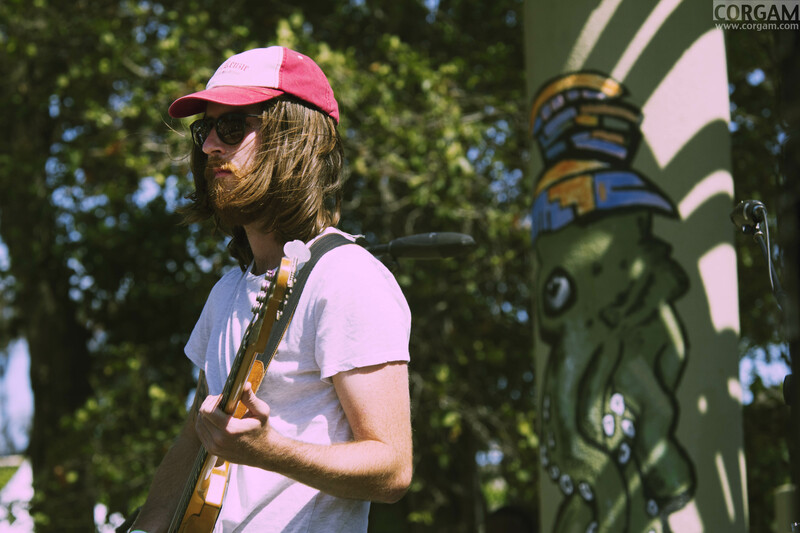 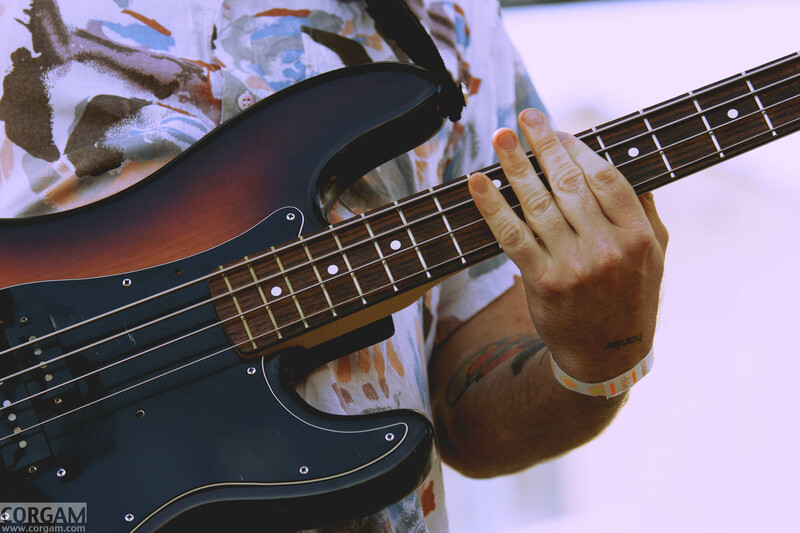 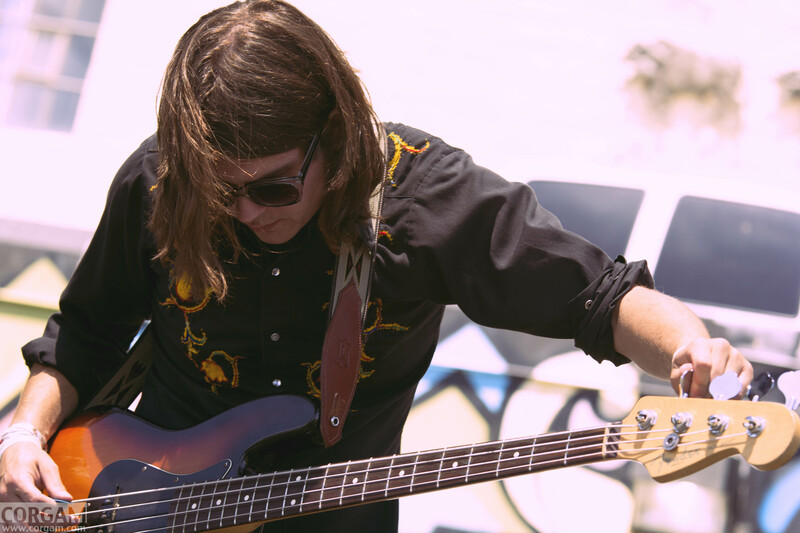 The Bay Bridged teamed up with John Vanderslice of Tiny Telephone recording studio for their fifth installment of Phono del Sol Music Festival at Potrero del Sol Park last Saturday. 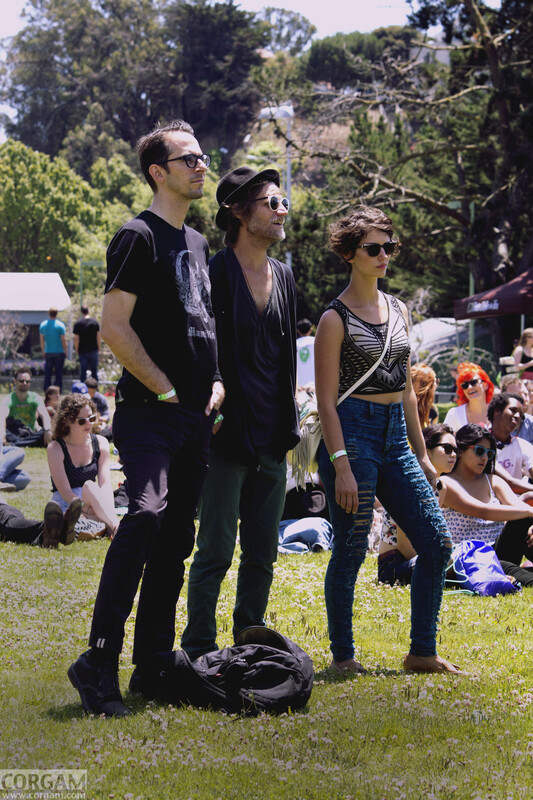 This surprisingly affordable festival (advanced tickets were $30 and tickets at the door were $35) brought quite the diverse crowd. 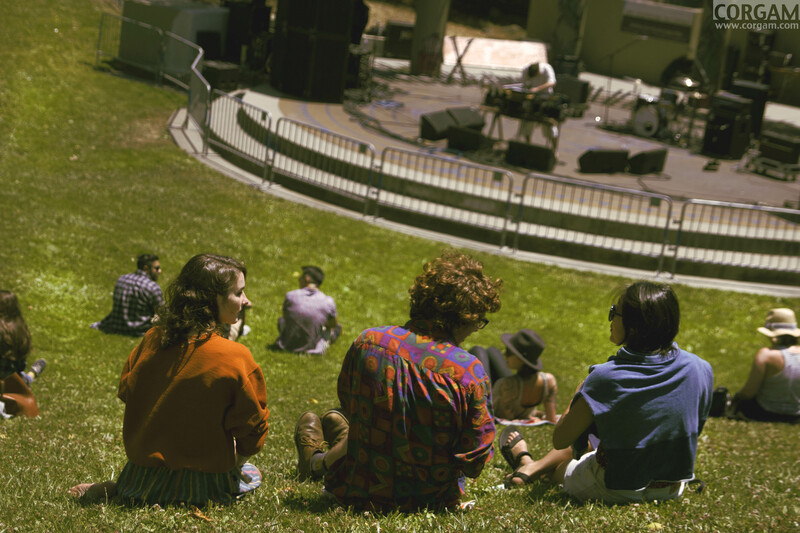 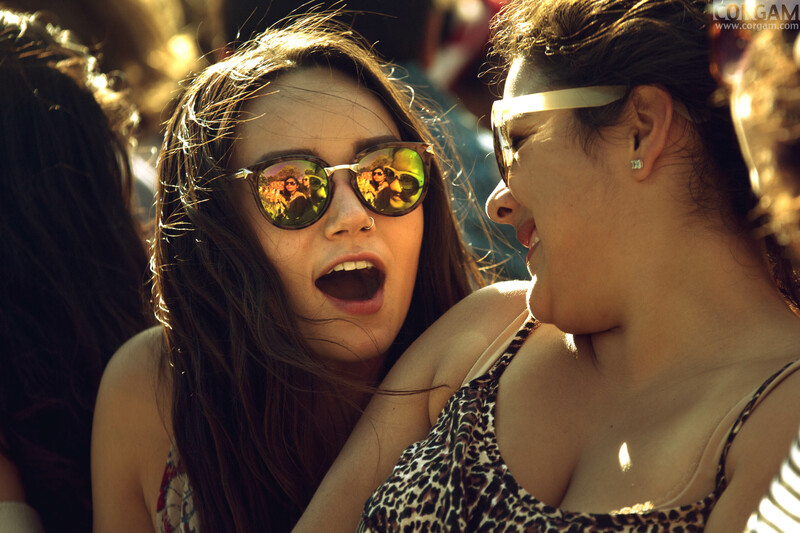 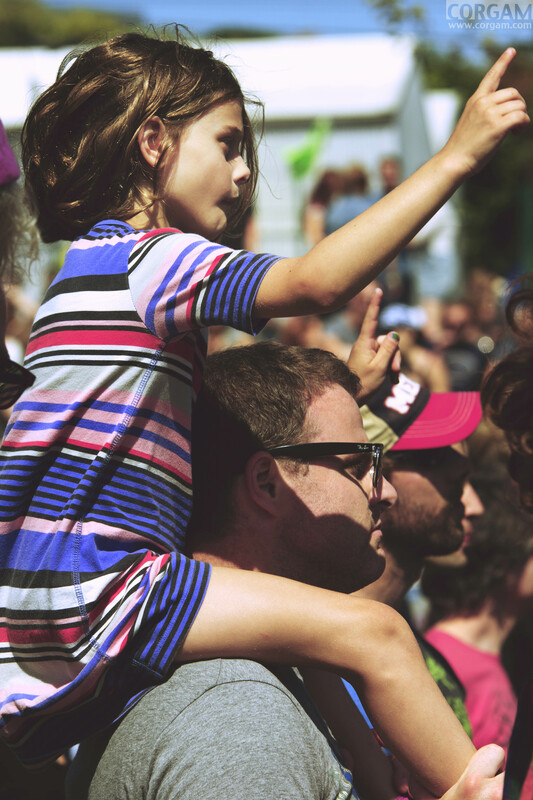 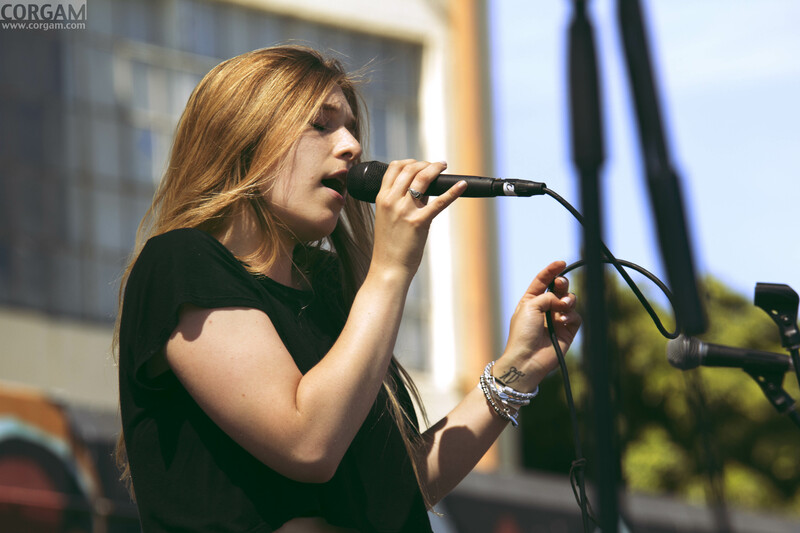 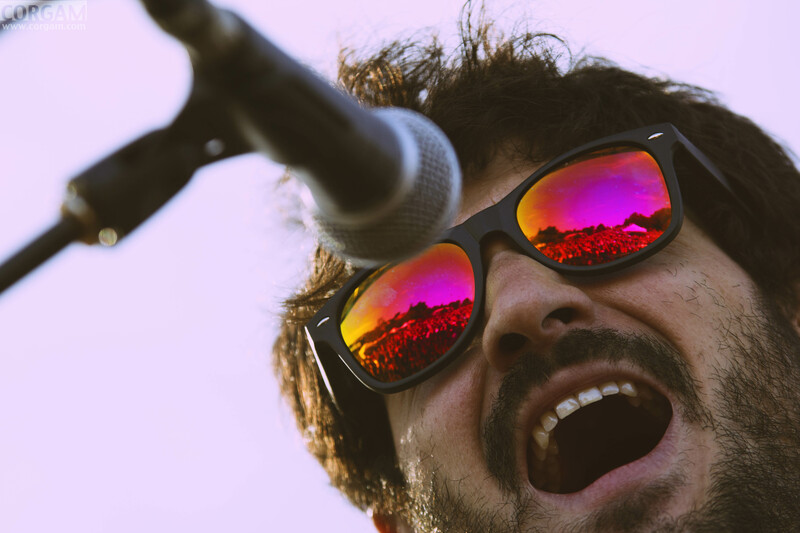 Fans and families alike were able to soak up the sun on a hot day while getting a chance to see some pretty epic bands and munch on plenty of tasty gourmet treats from some of SF’s favorite food trucks. 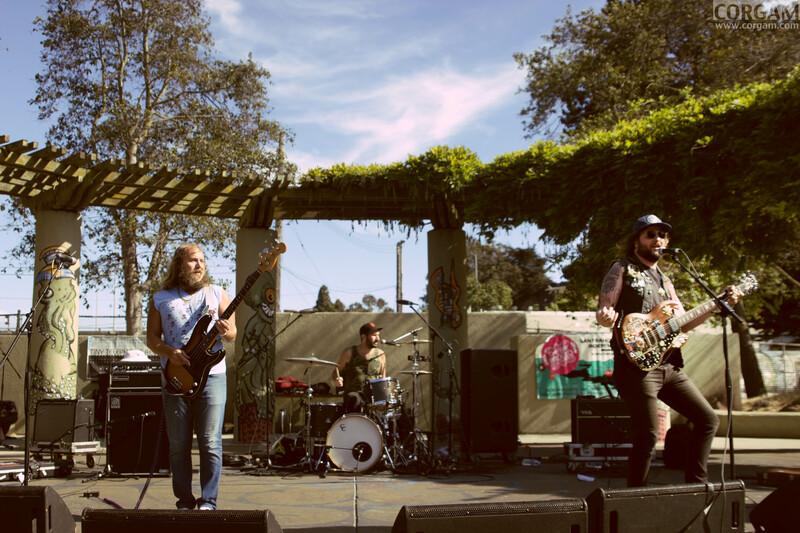 With the festivals grounds covered with an abundance of flamingo decorations, Lagunitas beer gardens and the backdrop of skateboarders set the mood for the event. 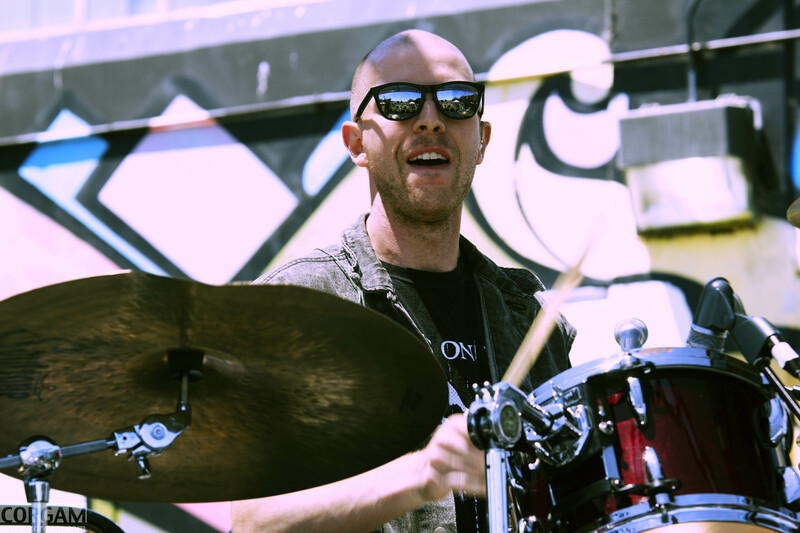 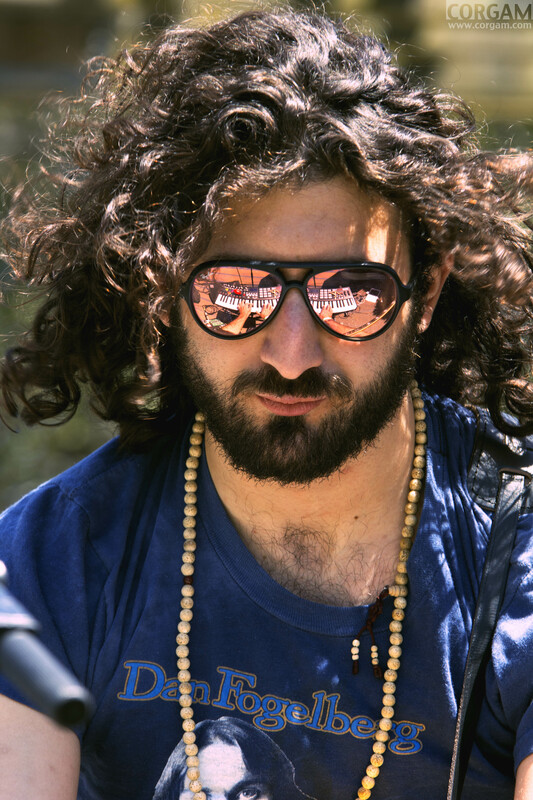 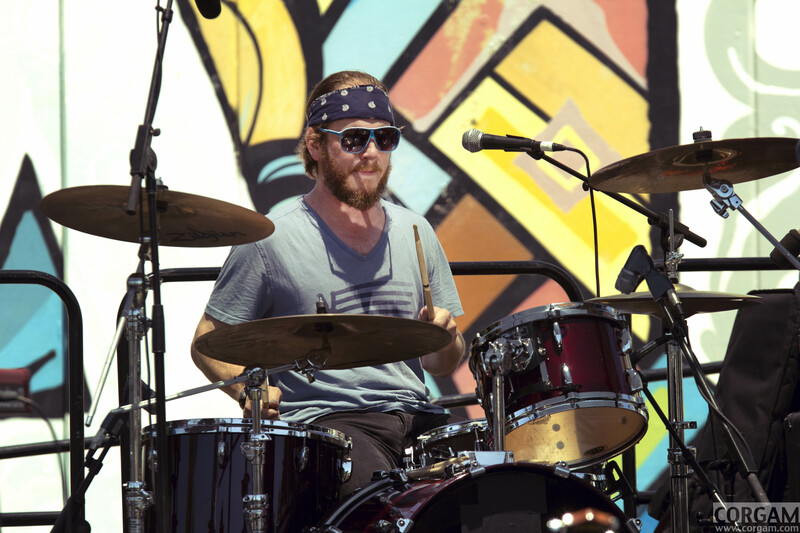 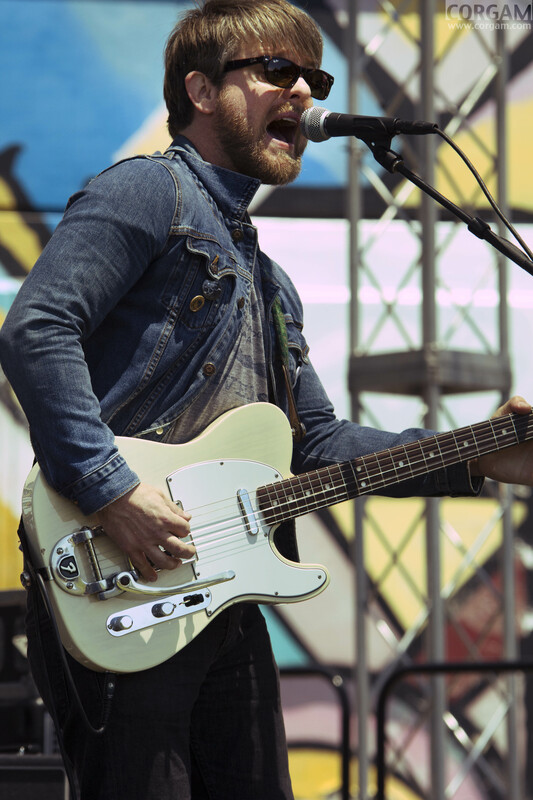 Between sets from some noteworthy local and East Coast bands, festival attendees were able to enjoy tunes from LIVE 105 DJ Aaron Axelson in the beer garden all day. 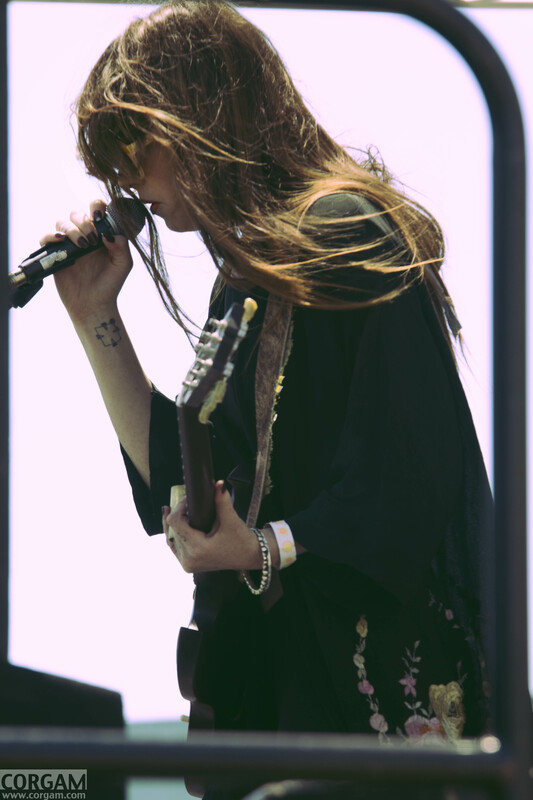 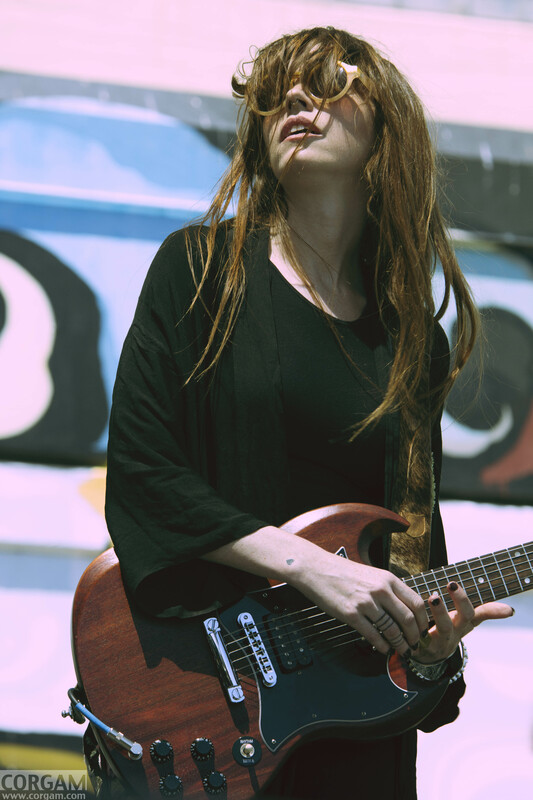 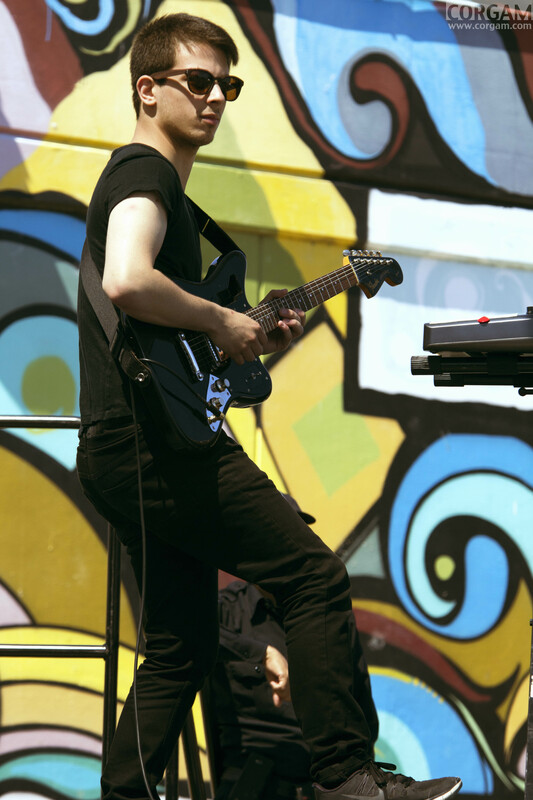 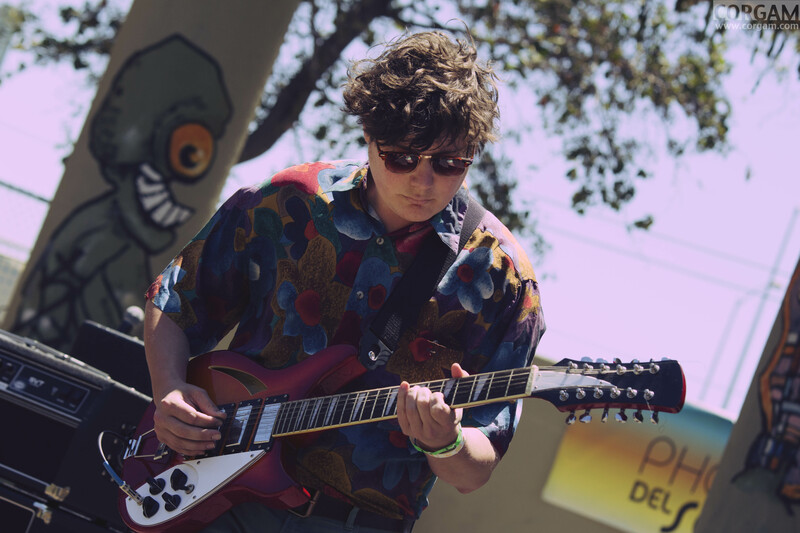 The festival included 11 bands on the bill and kicking off the day was Scary Little Friends, whose psychedelic guitar riffs were showcased during favorite cuts like “We Are Young”. 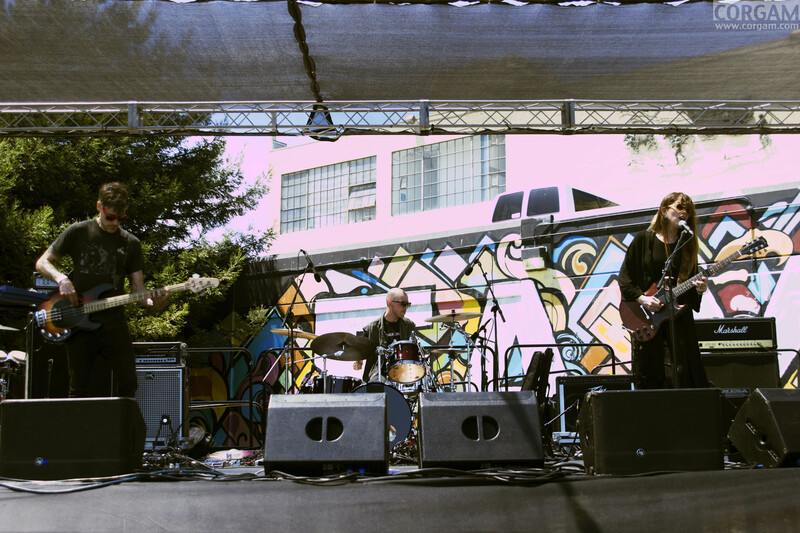 Opening the Potrero Stage, the garage-pop supergroup Tiaras have succeeded in becoming a Bay Area favorite, drawing in the early-afternoon crowd with their harmonious, dreamy mirage sound thanks to the vocals of lead singer/guitarist/keyboardist Ryan Grubbs. 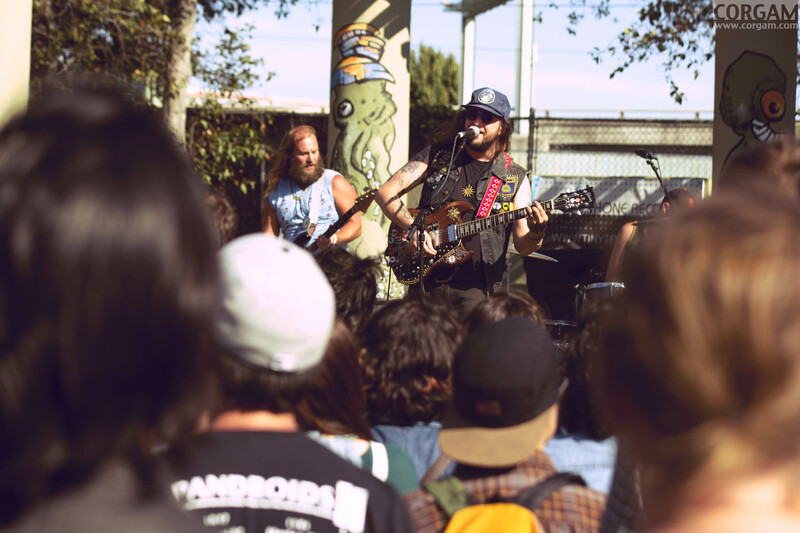 The afternoon continued with an array of different bands, such as Oakland-based psychedelic rock outfit Everyone Is Dirty, which brought a packed crowd and captured the hearts and ears of nearby passersby. 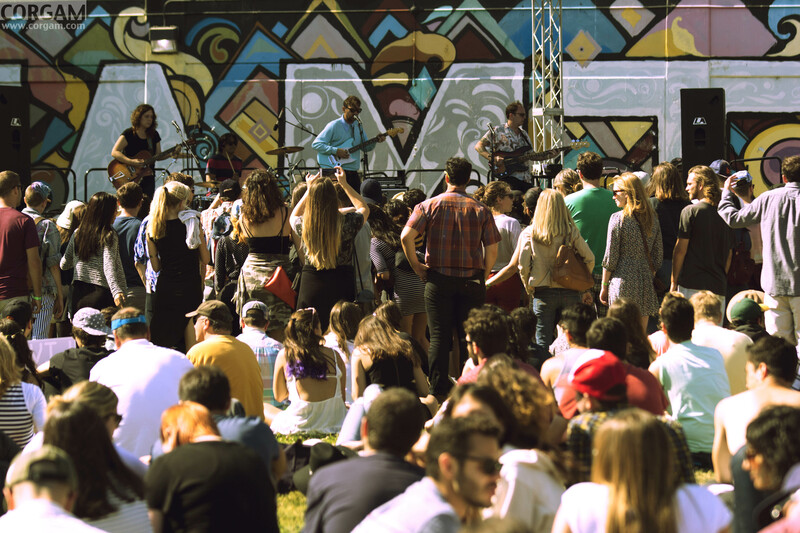 As the day went on and the sun started going down, the bands continued to keep everyone entertained. 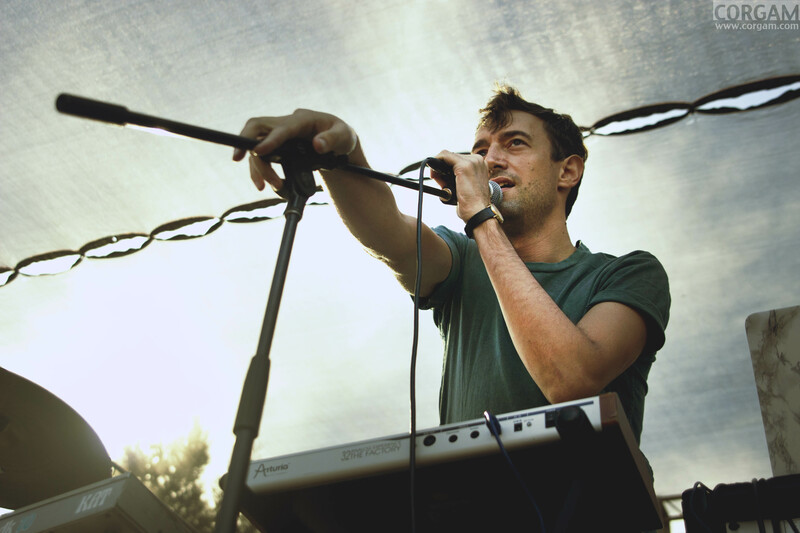 A majority of them, including Vérité, Tanlines and Generationals, shifted the music heavily toward electropop. 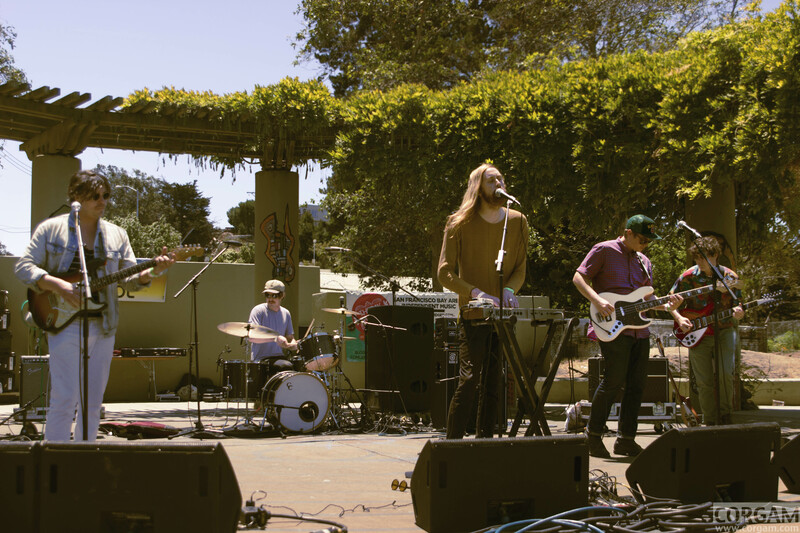 One band on the rise is HEARTWATCH (fka The Tropics), which will also be performing at Outside Lands this year. 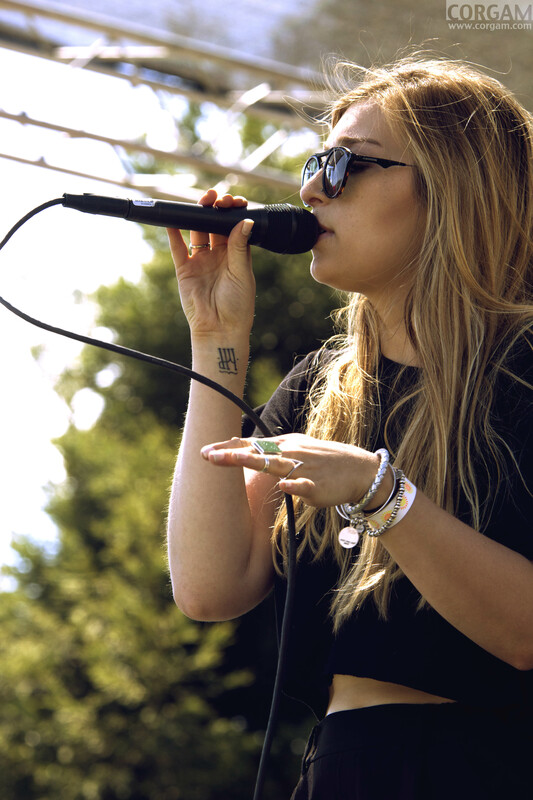 The five-piece brought fans to their feet as people of all ages danced to Claire Georges’ sweet, happy-go-lucky vocals. 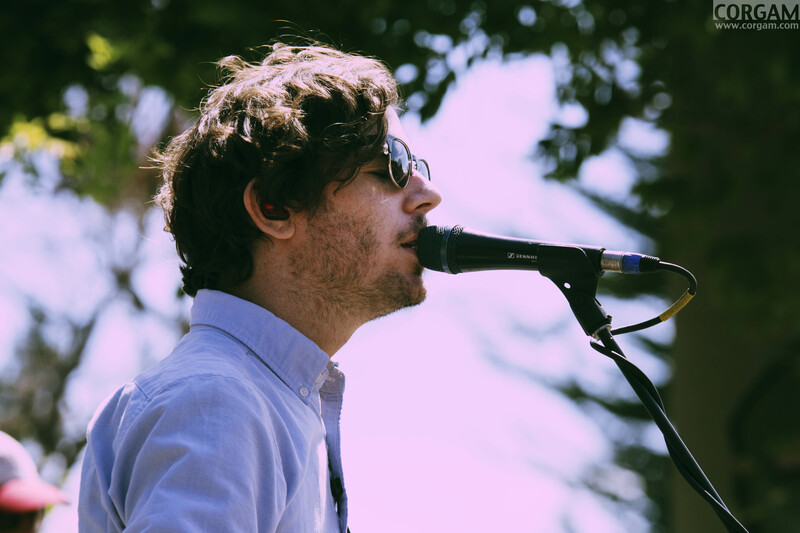 To round out the night, King Tuff and Tanlines closed both stages. 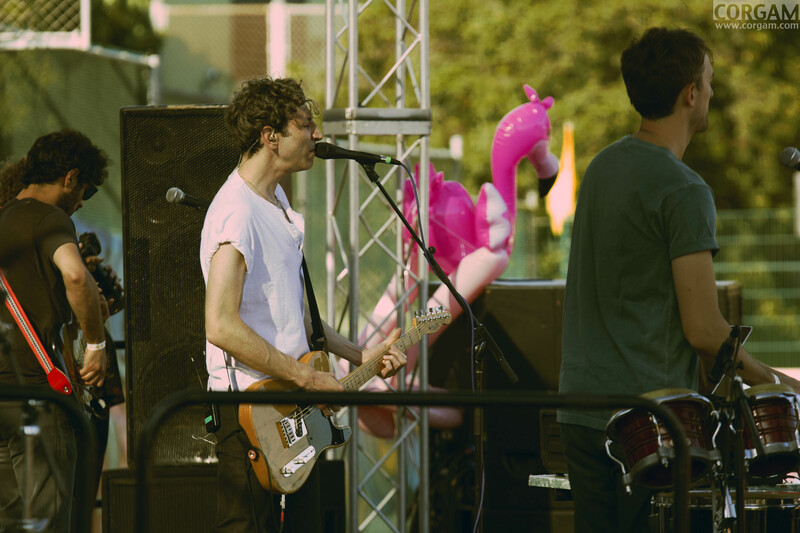 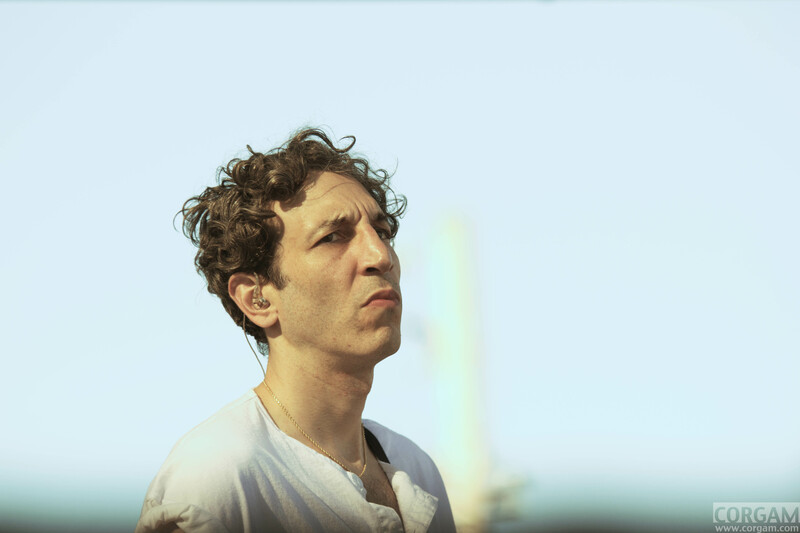 Tanlines, the electropop duo out of Brooklyn, is a fun group that will make you literally “just wanna dance.” With their upbeat tracks, they proved to be an afternoon delight for everyone at the park. 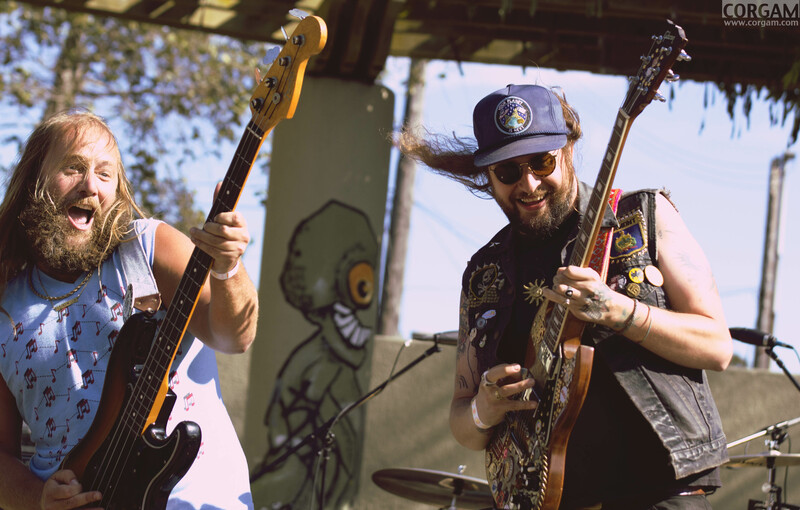 Meanwhile, over on the Potrero Stage, King Tuff’s heavy garage rock was a favorite of the day, with Kyle Thomas’ nasal vocal stylings almost comparable to that of T. Rex and other bands like SF’s Thee Oh Sees. 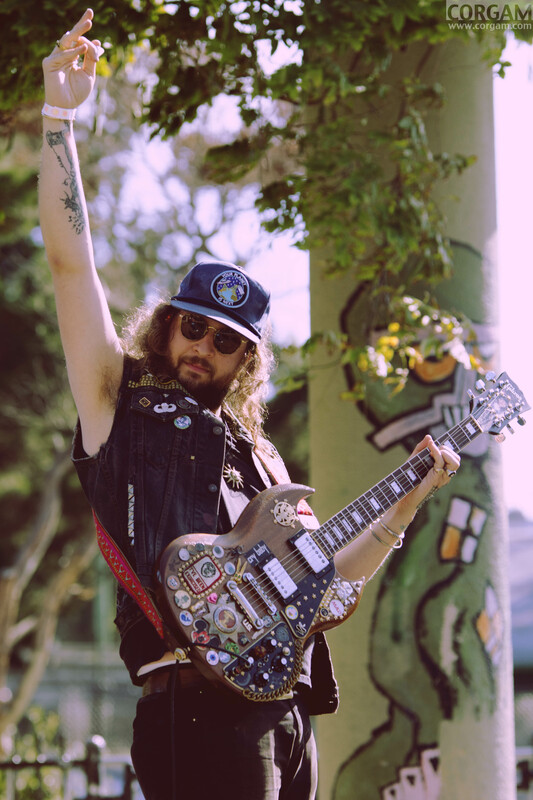 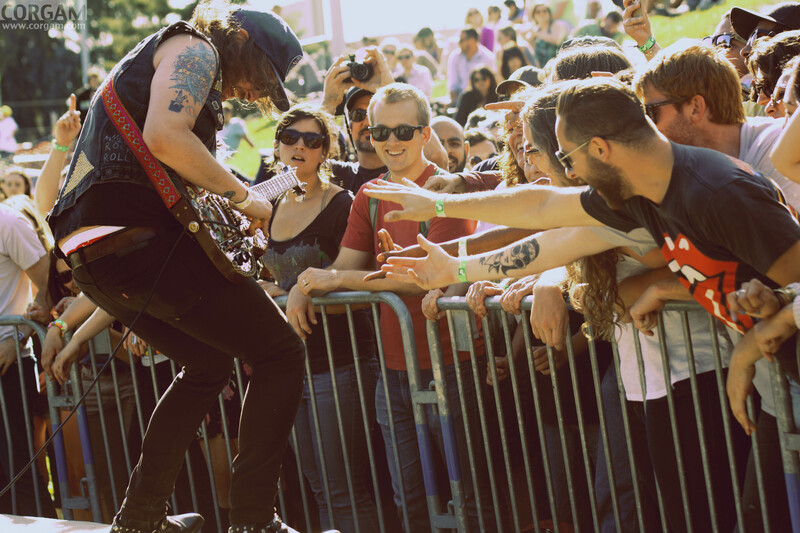 Both fun and memorable, King Tuff’s unadulterated rock had those at the front of the crowd in the middle of a mosh pit, and even some skaters hopped the fence in hopes of crowd surfing. 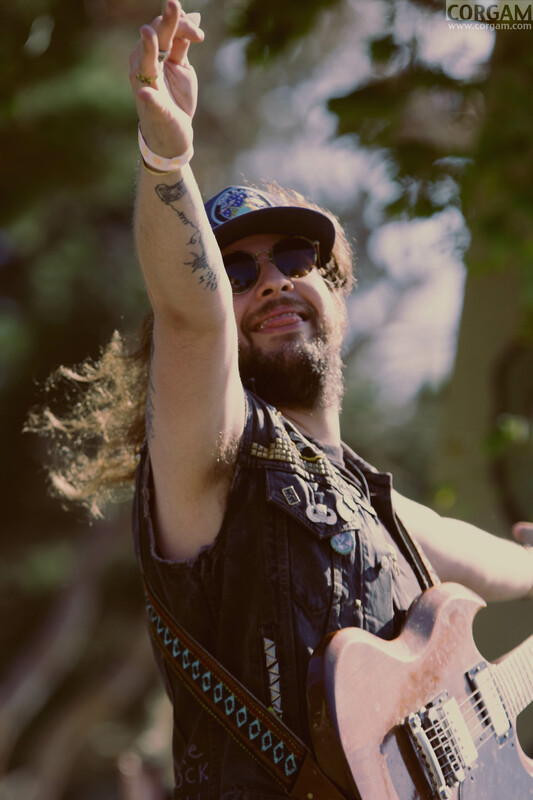 Thomas definitely immerses a crowd with his music and succeeds in making you feel like you’re experiencing some real rock ‘n’ roll. 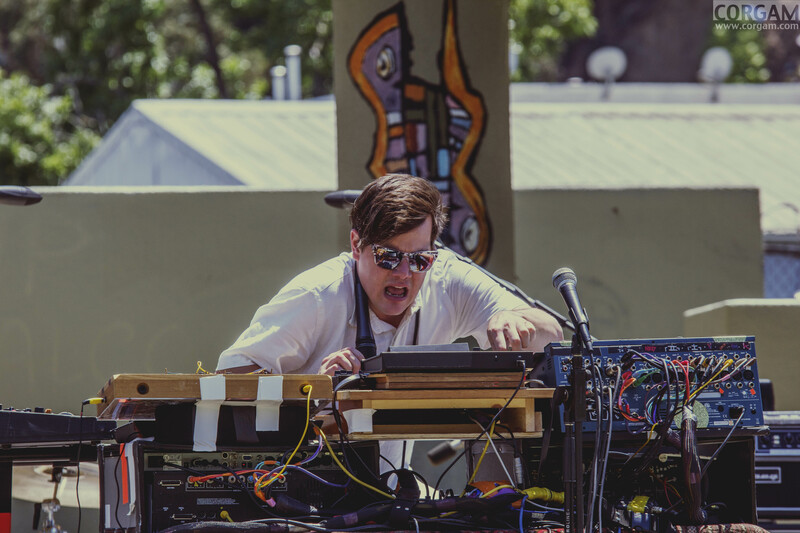 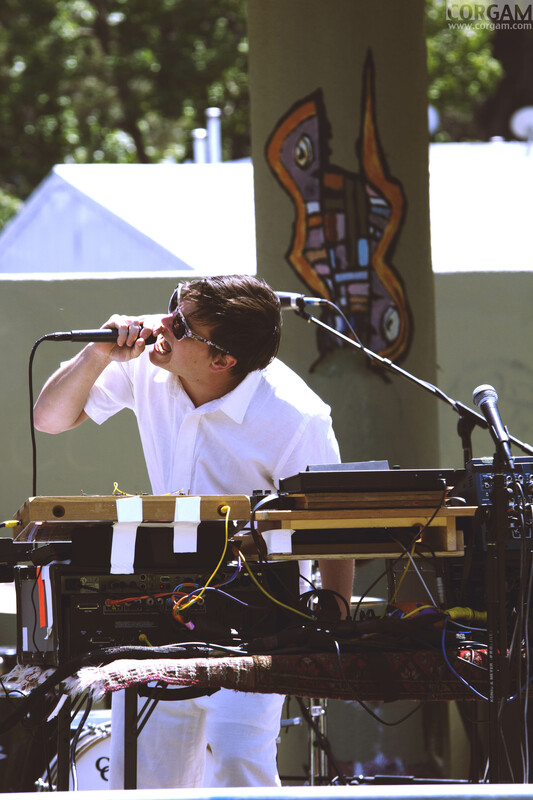 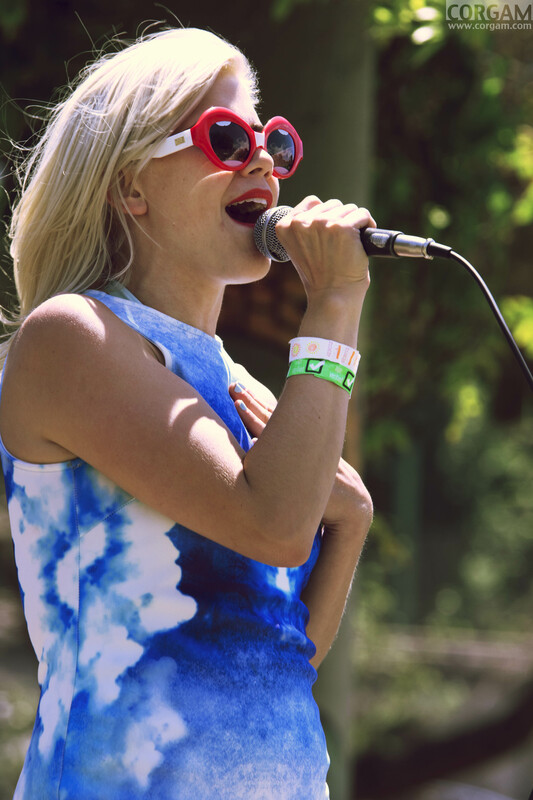 It’s just another reason why Phono del Sol once again was a major success this year.